This article originally appeared in Al Jazeera on 7 October 2017. Africa is witnessing a quiet revolution which holds out real hope of banishing poverty and hunger and driving economic growth. 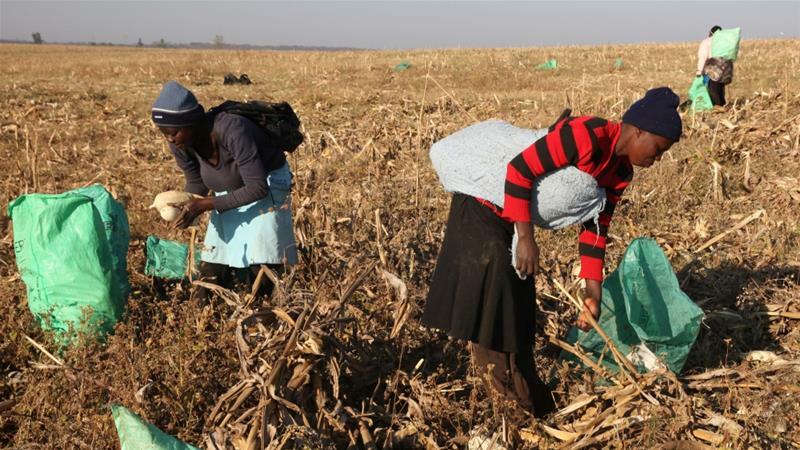 This transformation is not in sectors like oil and gas, minerals or tourism, which grab global headlines, but in agriculture, which remains the backbone of the continent’s economy. Despite the rapid growth in the services sector, agriculture still accounts for more than a third of its GDP. Africa is urbanising rapidly, but agriculture still employs two-thirds of the workforce. Evidence has shown that growth in agriculture is up to 11 times more effective in reducing poverty than growth in any other sector. If we want to end poverty and hunger in Africa by 2030, agriculture needs to be right at the heart of the strategy. African agriculture and smallholder farmers have too often been forgotten. The result is that Africa, despite the hard work of its farmers, does not grow enough to feed its own people. One in four of the continent’s population is undernourished, a huge barrier to better health and development. There is a direct economic cost, too, with $35bn spent on importing food annually – a figure which could almost triple by 2025 unless Africa increases agricultural productivity. To compound this, political failures and violent conflicts have put millions of people at risk of starvation. Earlier this year, the UN warned that 20 million people across northeast Nigeria, Somalia, South Sudan and Yemen were at risk of starvation, a humanitarian crisis that is almost entirely man-made. Fortunately, this dismal picture is giving way to signs of progress. First, over the last decade, agriculture has received growing attention from governments and investors. For example, at last year’s African Green Revolution Forum (AGRF) – a forum I helped launch a decade ago – $30bn worth of political, financial and policy pledges were made; the largest-ever commitment to the continent’s agriculture. This was a turning point. Now, we are taking steps to turn these pledges into results. At this year’s AGRF in early September, we witnessed the signing of many agro-business deals amounting to more than $6bn. Second, smallholder farmers are becoming recognised for the small businesses they are. Initiatives like the Farm to Market Alliance, which help smallholder farmers secure long-term buyers for their produce, are gaining momentum. This gives them the confidence to invest and grow their businesses knowing they have a market when they harvest. Third, we are changing the way we work together. New partnerships are emerging, like the recently launched, multimillion-dollar Partnership for Inclusive Agricultural Transformation in Africa (PIATA). It aims to increase incomes and improve the food security of 30 million smallholder farm households across Africa by 2021. It is the first time we have seen some of the largest funders of agricultural development pooling their resources and efforts towards a common goal. This represents a new way of doing business. Fourth, with climate change threatening food production as never before, we are prioritising efforts to help farmers adapt. By embracing, for example, solutions such as drought and heat-tolerant crops, modern weather information systems, and efficient irrigation systems, farmers can cope with the changing weather conditions. Fifth, we are putting a much bigger emphasis on the quality of our diets, rather than just focusing on quantity. In sub-Saharan Africa, millions lack the nutrients needed for proper health and development. One of the ways we are tackling malnutrition is by making crops more nutritious. The orange-fleshed sweet potato, which has higher levels of vitamin A, is an example of our success. When children do not get enough vitamin A, their growth is slowed, immune system weakened, and they risk going blind. Half a cup of sweet potato from these new varieties is enough to give children their daily intake of the vitamin. The result is not only better health, but better economies; experts estimate that undernutrition costs African economies around 11 percent of their GDP annually. These signs of progress rarely make the global headlines, but they are slowly and surely transforming economies and improving lives of millions across the continent. Africa is taking control of its own agricultural transformation. This is essential if the continent is to ensure African farmers and companies enjoy the full benefits of its growing food market, which is projected to be worth $1 trillion by 2030. In the end, this progress will only continue if we focus on agriculture as our path to prosperity, monitor our progress and hold ourselves to account. Fortunately, at the request of African heads of state, there is a review of the progress being carried out right now, which will be presented at the African Union summit in January next year. I believe that it will register considerable progress over the last few years; but yet we are just getting started. We shall reap what we sow. By supporting Africa’s smallholder farmers, we can build an Africa free from hunger. We can build an Africa free from poverty. We can build an Africa proud to be economically strong and able to feed itself. That is the bountiful harvest that together we can and must achieve.